OSA afflicts 20 million adult men and women in North America. People who have OSA stop breathing repeatedly during sleep because the airway collapses. Airway collapse may be due to such factors as a large tongue, extra tissue in the airway, or decreased muscle tone holding the airway open. As a result, air is prevented from getting into the lungs. These pauses in breathing can happen 30 times or more per hour. When healthy sleep is interrupted in this way, the risk of developing cardiovascular disease and other serious health conditions may increase. OSA can occur in men, women and children of all ages and sizes. Most people who have OSA do not realize they suffer from the condition. Often, it is someone else who witnesses the first signs of OSA. If you or someone you know snores regularly and has one or more of the following symptoms, it may be OSA. Consider all of the following that apply, and share this list with your doctor. WHAT IS THE TREATMENT FOR OBSTRUCTIVE SLEEP APNEA? 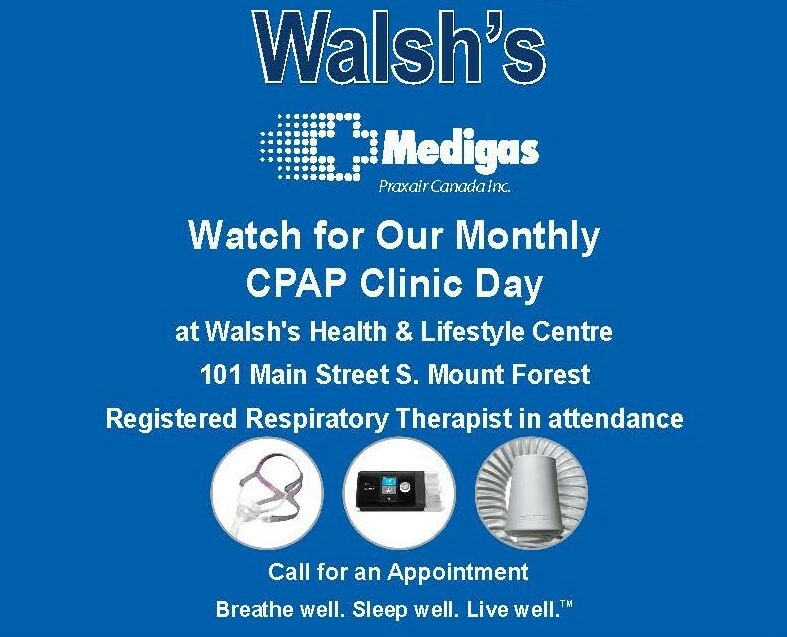 The most common treatment is CPAP (Continuous Positive Airway Pressure), pronounced "see-PAP." Other less common treatments include surgery and oral appliances, which may be effective in certain individuals. Any treatments should include weight loss if needed, exercise, and avoidance of alcohol, sedatives, and hypnotics. PAP therapy will relieve the airway obstruction that occurs while you sleep. 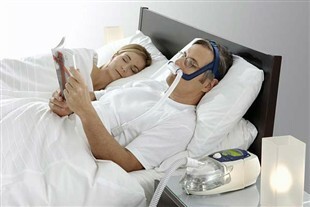 PAP treatment can dramatically improve the life of someone diagnosed with sleep apnea. When you wear the system every night during sleep and optimum therapy is achieved, you may experience the following benefits of treatment: Increased energy level and attentiveness during the day Fewer morning headaches Reduced irritability Improved memory Less waking during the night to go to the bathroom Increased ability to exercise Increased effectiveness at home or at work Improved overall quality of life. You will need to use your treatment every night while you sleep. If you do not, you will return to your previous level of snoring, sleep apnea, and daytime tiredness. Sleep apnea also may contribute to driving and workrelated accidents. WHAT SHOULD YOU DO IF YOU SUSPECT YOU MAY HAVE OBSTRUCTIVE SLEEP APNEA? See your doctor. Evaluation by a doctor specializing in sleep disorders is recommended. Have a sleep study done. A sleep study can provide the doctor with information about how you sleep and breathe. This information will help the doctor to determine your diagnosis and treatment options. Before you begin treatment, it is a good idea to become familiar with your equipment, which includes a therapy device and mask. Each device and mask comes with specific user instructions. Below is some general information that is common among most therapy devices and masks. Continuous Positive Airway Pressure (CPAP) devices deliver a steady, gentle flow of air throughout the night and are a very effective treatment for sleep apnea. Your doctor prescribes one therapy pressure to open your airway, which is what your device is set to deliver throughout the night. Devices are equipped with various features that can help make therapy more comfortable. Bi-level therapy (BiPAP) devices are set to deliver two levels of pressure during the night - a lower pressure when you breathe out (exhalation) and a higher level of pressure when you breathe in (inhalation). These devices are sometimes prescribed for patients who have trouble tolerating one constant pressure from a CPAP device. Most are equipped with various features that can help make therapy more comfortable. Auto therapy devices sense your needs and provide variable pressures throughout the night. As with the other models, auto therapy devices are equipped with various features that can help make therapy more comfortable. Humidifiers are designed to moisturize the air that is being delivered to you from the therapy device. There are two types of humidifiers-heated and unheated. Heated humidifiers do not "heat the air," but will increase the moisture content of the air delivered. Humidifiers can help to reduce some of the sideeffects of therapy, such as dry nose. The tubing is used to carry the air from the therapy device to the mask. You should clean and inspect your tubing at least once a week to make sure it is clean, pliable, and free of tears. Tubings should be replaced every 6 to 12 months. Therapy devices come with filters. Some devices come with one regular filter and others come with twoone regular filter and an ultra-fine filter. The ultra-fine filter (white) should be replaced every month or sooner if it becomes dirty. The regular foam filter should be cleaned weekly and replaced every 6 months. Masks are used to deliver the air from the therapy device to you. A comfortable mask is a key factor in being able to use your treatment daily. Therefore, finding a mask that fits you and your lifestyle is important. Most masks have built-in exhalation ports that vent your exhaled air. Once you have found a mask that works for you, it is important to maintain it properly. Consult your mask manual for proper maintenance and cleaning instructions. Inspect your mask often for wear and tear. Masks should be replaced every 6 to 12 months. Chinstraps are an optional accessory to most masks. They wrap around the top of your head and underneath your chin to prevent your mouth from opening at night. Chinstraps may be used with a variety of nasal masks if a full face mask (a mask that covers both the nose and mouth) is not being used. Remove the mask/nasal pillows from the headgear. Clean with warm, soapy water; rinse and let air dry. Never use alcohol on the mask or nasal pillows. It can harm the mask. Empty the humidifier and let it air dry. Change the water in the humidifier. Always use distilled water in the humidifier to avoid mineral deposit buildup. Clean the humidifier chamber frequently to prevent mold growth. Straight white vinegar may be used to clean humidifiers of deposits. Be sure to thoroughly rinse with distilled or sterile water prior to the use of the humidifier. Caution: Do not place the humidifier or the mask into the dishwasher for cleaning. Clean the gray/black foam filter with warm soapy water. Rinse, allow to dry, then reinstall. Wash headgear with warm, soapy water; rinse and let air dry. Headgear is machine washable, but it is best to wash it by hand. Wash tubing in warm soapy water, then rinse and air dry. Wipe the machine with a soft, damp cloth. Replace white disposable filter (if applicable). Contact your homecare provider if you have any problems that you are unable to correct. Do not attempt to repair your device by yourself. A nasal mask that covers your nose is most commonly used. But if you breathe through your mouth when you sleep, a full face mask that covers both the nose and mouth may be a better option. The smallest mask size that fits but does not pinch the nostrils should be used. The mask should be fitted while you are in a sleeping position and with air blowing at the prescribed pressure through the tubing and mask. Headgear should be secure but not too tight. If your mask has a forehead arm or adjustment feature, adjust that first. Adjust straps to minimize air leaks, especially into the eyes. The cushion should not be crushed against the face. Tight fit is not necessary for effective therapy. By tightening, folds are created in the material creating a path for leak. Try loosening the mask if leaks are present. Mark the headgear straps with permanent marker to remember where they should be fastened. Remove the mask by pulling it over your head or use the quick-release clip. Do not block the exhalation port between the mask and the connecting tubing from the device. Position the port away from your bed partner. You may want to consider looping the tubing over the headboard to reduce the pull on the mask. If you use a full face mask and wear dentures, remember that if your mask was fitted with your dentures in, your mask may not fit properly if worn without your dentures.